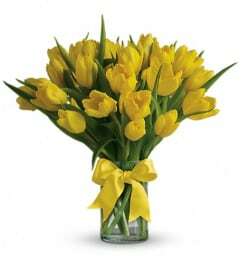 This bouquet is just bright for any occasion! 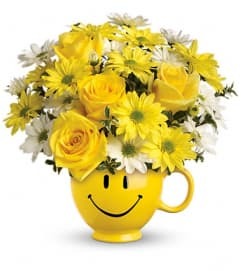 A bright and sunny medley of flowers is hand-delivered in a brilliant ceramic pitcher that can be joyfully used over and over again. 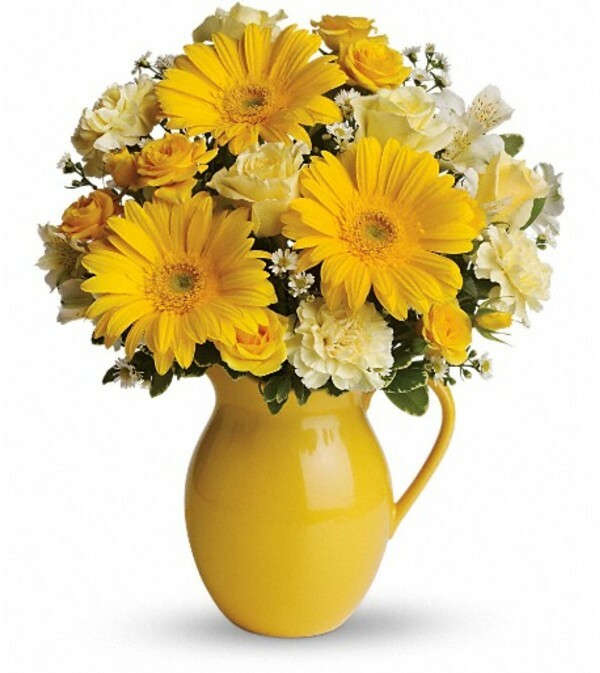 Light yellow roses and carnations, yellow spray roses, gerberas and alstroemeria, white monte cassino asters and pittosporum arrive in an exclusive yellow keepsake pitcher. Now that's what we call pitcher perfect!